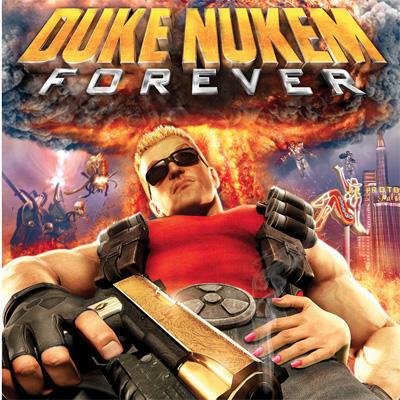 [UPDATE] Jim Redner and The Redner Group have been relinquished of their connections to 2K Games, the publishing house represented for Duke Nukem Forever. Kotaku received word from 2K Games that Redner’s opinion does not reflect their own. The company fired him and his PR group. While it’s fine that 2K’s cleaning up after this mess quickly (as unfortunate as that is for the income lost), that does not adress the fact that this stuff happens more often than it should. Redner made it public… that seems to be the only reason he was fired. That’s the combination of two separate Tweets from The Redner Group, the Public Relations agency that’s been working to bring news of Duke Nukem Forever to the gaming press recently. Up until this Twitter outburst, which has since been deleted, Jim Redner from the PR agency has been consistently friendly and polite in all exchanges. The combination of a low Metacritic rating, which has been sitting in the 50s since coverage started pouring in, and some of the “venom” in bad reviews seems to have pushed the rep a little too far. Redner threatened that game review sites that “went too far” in their Duke Nukem Forever reviews were potentially heading towards a blacklisting. What is blacklisting? It’s pretty obvious, I suppose, but it happens more often than you’d think. When press covers a game in an unfavorable way, companies may elect to blacklist that outlet from future product samples and review materials. I’m speaking from experience on this one. While I’ll never tell which publisher blacklisted the publication I was working for (not TechnoBuffalo), I will say that they did so because of a poor score and how and affected their Metacritic rating. The company actually owned up to the fact that our score hindered them from hitting a certain point in order to earn a fiscal bonus from their superiors. We were blacklisted as a site and have been shorted on review copies from this particular company since then. The gaming coverage industry can be a dirty, ugly business. As writers, there’s a lot of pressure to make PR firms happy in the process of covering their product. Being blacklisted means a huge loss in site traffic once review embargoes lift. You don’t have the game, you can’t review the game, you can’t partake in the day one festivities. With the good sites, moral obligations typically win out over strained relationships with PR reps. And the best PR reps are often more than understanding of any form of coverage. Typically, most PR reps fall into the good category. On a positive note, I can speak to a peer and his relationship with an agency. He wrote a bad review for a game that was swimming in low scores. We saw the rep that sent us the game at a convention a few months after said review was published. He actually came to us and had a good laugh about it. Was he frustrated with the game’s reception? Absolutely. But he made sure to share that he understood that we were just doing our jobs in coverage. I respect that particular rep and his firm a lot more because of that exchange. Redner has since apologized for his outburst. How that will affect his relationship with publishers and press remains to be seen. The real losers here are consumers of review coverage. I recognize that it’s become hard to trust which sites are writing reviews properly, and which are writing reviews to please public relations firms. The only thing I can say is, “good luck.” Always read more than one review. Never judge a game by its Metacritic rating alone. Reviews are an exceptionally useful tool, just make sure you ingest them in bulk to understand a game. Not every site writes good reviews to receive favorable treatment from PR companies, remember that.